Not a recipe today, but a kitchen hack. How to squeeze your own orange juice without getting pulp all over the dishes and the sink. 1. Squeeze the oranges, saving one of the empty orange halves. 2. 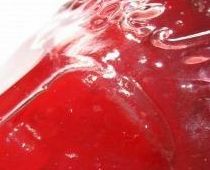 Use a teaspoon to scrape the pulp out of the juicer. You can empty the spoon into the empty orange half as you go, then throw it away when you’re done. 3. Make sure the sink is empty – no dishes or dishcloths. Now rinse the juicer (the non-electrical parts, that is) under a running tap until the remaining pulp has gone. 4. If you are feeling extra clean, wipe up any left over bits of pulp in the sink with paper towel. Want cold juice? Putting ice cubes into your juice makes it separate. Chill the oranges in the fridge beforehand instead. This does mean you will get less juice out of the fruit, but it tastes great. Oranges too sweet? 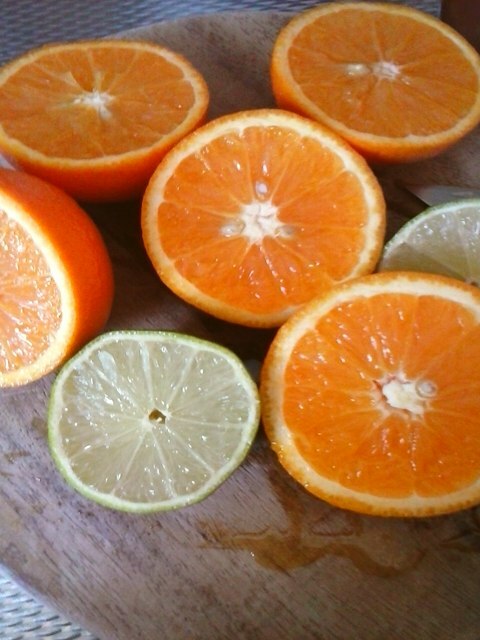 Add zing by juicing along half a lemon or lime for every three oranges. Oranges too sour? Blend the juice with a banana and 2 tbsp yoghurt. Sweeten the smoothie to taste. Electrical part of the juicer getting grimy? Clean it with rubbing alcohol on some paper towel.